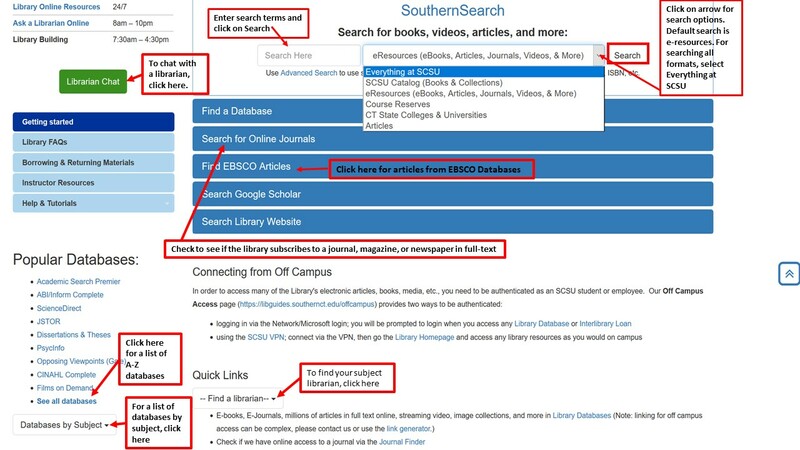 Use SouthernSearch to locate information in our library. SouthernSearch provides simple, one-stop searching for books and e-books, videos, articles, digital media, and more. Enter your search terms in the search box provided and click on Search. The default is to search "Everything at SCSU." You can click on the down arrow next to "Everything at SCSU" for other choices such as SCSU Catalog and Collections, Articles and e-books, Course Reserves, and CT State Colleges and Universities. When searching by keyword use "and" to combine your search terms for more precise results. You can combine as many terms as you wish using "and" but the more terms you use the less results you will get. Use "or" to expand or broaden your search. "Or" is generally used with synonyms. You can combine as many terms as you wish using "or" and the more terms you combine the greater your results will be. Use Advanced Search for more search options to limit or focus your search. 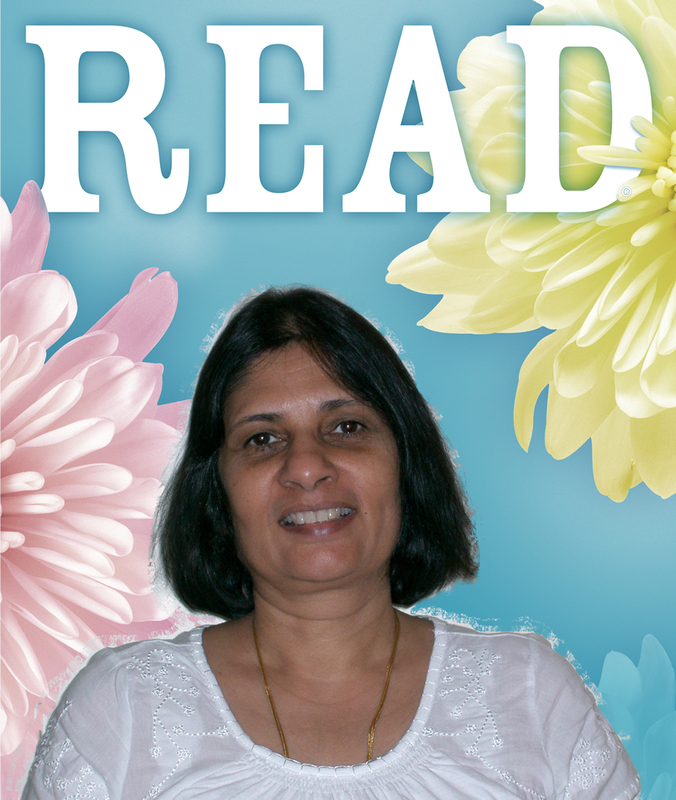 Advanced Search allows you to search by Title, Author, Subject, ISBN. To find books by an author, select Author from the pull-down menu and enter the author's last name first followed by the first name. Books pertaining to English Literature are shelved in the PR section according to the Library of Congress Classification System. Books in the Reference collection have Ref before the call number and are shelved on the first floor of Buley Library. The PR section of the circulating collection is shelved on the third floor. Here's a floorplan of the stacks indicating where materials are shelved. To request a book from another library in the CSCU consortium, you must search the CSCU consortium by selecting "CT State Colleges and Universities" from the pull-down menu in the search box as the default is to search "Everything at SCSU". Enter your search terms and execute your search. Once the results list appears, you need to sign in to your library account to see which library has the book. You will see the name of the library that has the book and "available" if the book is available to be loaned. Click on "available" and you will see more information about the book and option to "request" the book. Click on "Request". Check to see that the pick-up institution is Southern Connecticut State University and the library is Hilton C. Library. Click on request to complete the transaction. You will be notified by email when the book is here and you can pick up your book at the Check-out Desk. Circulating books are checked out at the Check-out Counter on the main floor with a valid SCSU ID. Books can be checked out for 28 days with the option to have them renewed if no one else has requested them. Reference books cannot be checked out. Two scanners are available on the first floor and a third scanner is available on the ground floor. Users can scan to their email or their flash drive for free. You cannot print from the scanners. There are 3 printers on the main floor that allow you to scan, copy and print. One is located in the front lobby; one is located at the IT Help desk and the third is near the reference stacks. Scanning is free but printing is 5 cents for single side black and white and 8 cents for double-side. Color printing is 25 cents for single side and 40 cents for double side. Hoot Loot card holders can add to their account from the Card Value Center in Buley Library which is located opposite the Check-out counter on the main floor.